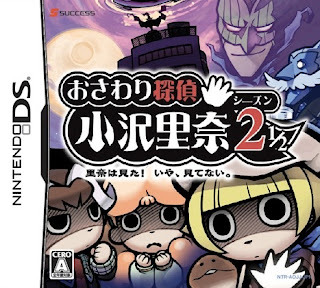 I don't know if any of you care to know this, but I've got the Beeworks-developed, Success-published Touch Detective titles on the brain at the moment--mainly because of my obsession with the series' soon-to-be-released (for 3DS) puzzler spin-off, Osawari Tantei Nameko Daihanshoku (aka Touch Detective: Funghi's Big Breed). I'll have a brand-spanking-new copy of Osawari Tantei Nameko Daihanshoku in my grubby little (big) hands shortly, by the way, so keep an eye out for a post on it--if you're at all curious about it, of course. In the meantime, I thought I'd publish another "Which Box Art is Better?" post dedicated to this charming (or so I've been told--I've yet to play one myself) series. 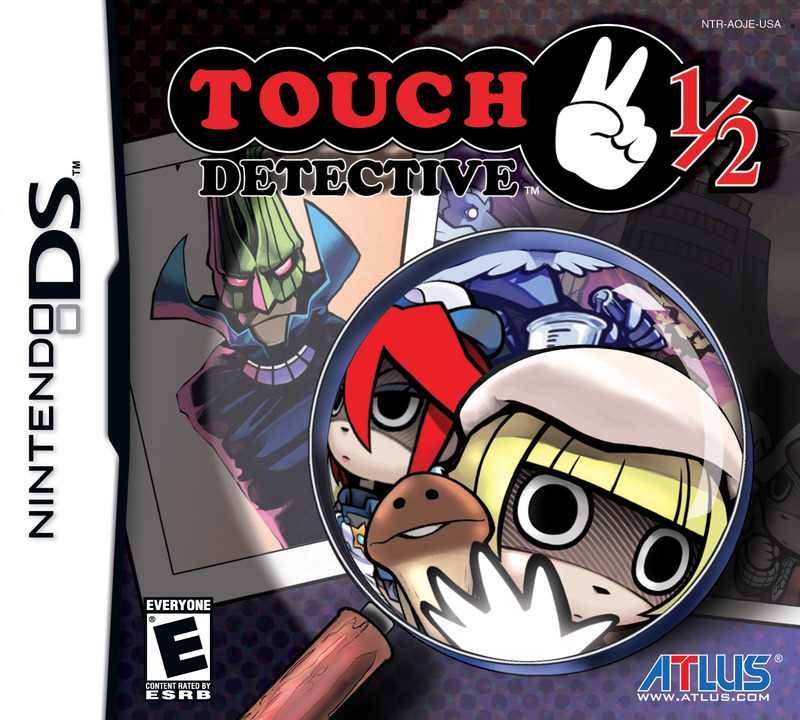 Last time, I focused on the first Touch Detective title, so today we're going to focus on the second, which is known as Touch Detective 2 1/2 in North America. Which one do I like best? Well, I'm sure you've already surmised that I'm not a fan of the Euro box art. With that out of contention, I guess I'll have to choose between the Japanese and North American covers. Although I quite like the Japanese version's soft, almost pastel, paint job, I have to go with the North American option this time around as I feel it's far more illustrative of the game's content. Also, I really like how the designer(s) at Atlus decided to put the main character's hand to good use in the logo. That's just my opinion on the matter, though; what's yours? Definitely the Japanese one for me again, and not just because the US version doesn't have an edge in the big-nosed-blue-man department! I feel like it has a more distinct sense of character portrayal here, whereas the US one is just kind of strange. I mean they're both strange, but I guess I just dig those expressions! I also had a confusing subliminal "read error" on the US box art, totally missing the hand as a "two" and thought "Touch Detective 1/2? What is it, some kind of special? A demo version?" It's cute but it doesn't convey touching the way the open hand does. Also going from an open hand in the logo followed by the two fingers, and instead of "2" I get "Scissors." I'm all messed up! I love hearing your thought process, by the way. And as for preferring the Japanese art to the NA and Euro art: well, I can't say I agree, although I can say that I do like the Japanese art even though it's not my favorite of the bunch. I can't get behind the Euro art, though. It makes my eyes hurt. Also, the logo just seems awkward to me. Oh, well, no one said we had to agree, right? Yeah I wouldn't really be able to say I prefer it (I think I'd rather own the US one, if I were picking between the two) but I can see why they decided to do it that way. By the way, are all versions of the sequel "2 1/2" or is there a straight "2" version as well? Well, the Japanese and North American versions clearly are "2 1/2," but it seems like the Euro version is just "2." I'm not sure why that is, unfortunately. Maybe Wikipedia will help me out? I agree with you, while the JP box is stunning, the US version is more accurate for the game. Was talking about it to Retr0gamer about 2 weeks ago. Hey there, Triseratops! Yep, you and I are on the same page. I really like the illustration used for the Japanese cover, but I don't think it says much about the game's content or genre. The NA art, on the other hand, gives a much clearer picture that this is a mystery/detective game, I think. Didn't help me any! 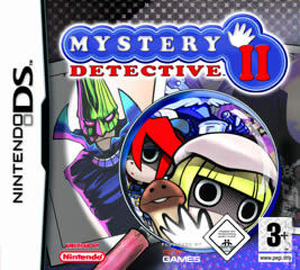 It did tell me that in France it isn't called Mystery Detective, but I had to go to amazon.fr to confirm that it's Touch Detective there (they use the same box art as the rest of Europe, though). I wonder why? If I had to guess, I'd say the name/title 'Touch Detective' was owned/used by someone else throughout Europe. You'd think Wikipedia would say that, though, wouldn't you? Other than that, I don't have a clue! It's the only thing I've heard of using the numbers that way, it would confirm it if they made a 3rd one called 33⅓ I guess. Silent Hill's school is based on Kindergarten Cop (http://kotaku.com/5875321/woah-i-didnt-know-kindergarten-cop-took-place-in-silent-hill/gallery/1) so it could be.